We show up yesterday evening at ~8:57pm to meet the 9:00pm latest check-in time. Among other things, we cannot find a way to get the robot in position to fit in the 24″ starting cube. Additionally, we had ~4-5 minor items to fix that got missed in the final assembly rush. 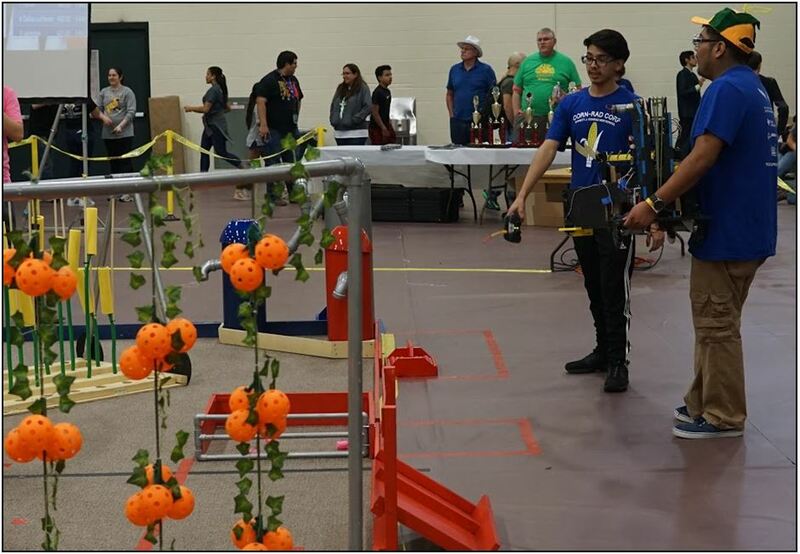 No problem, they let us take the robot home for the evening and we stayed up at the school another 2 hours, running various corners of our freshly painted robot through a bandsaw. Tip #1 of robot building, the second you paint it, you will have to drill/saw/grind or otherwise modify your pretty new paintjob. Paint is like a magnet for “uh oh” moments. 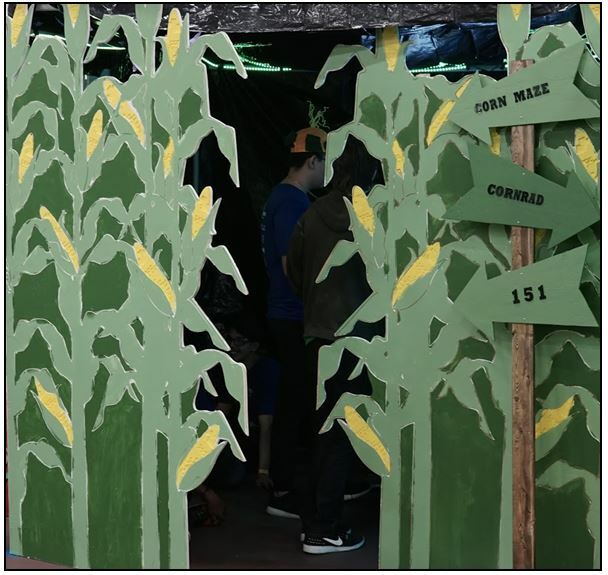 We did have some successes, the booth turned out pretty awesome, and it was great to see the level of student ownership throughout the process in making it happen with very little mentor input. 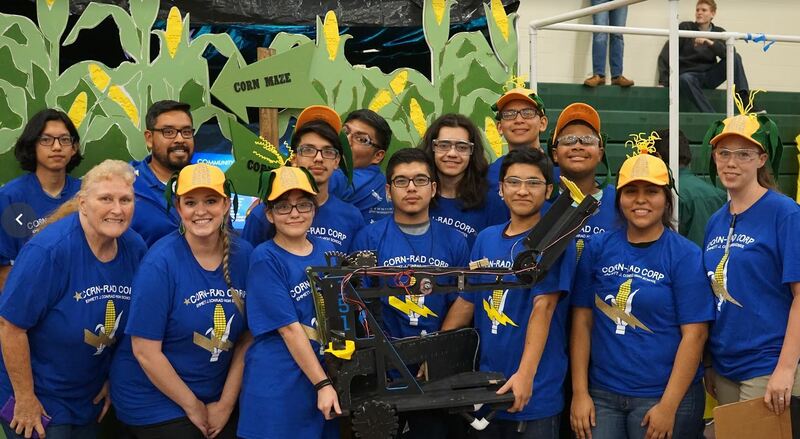 Additionally, our pit crew was able to identify a large number of improvements and take the 4-5 driving sessions to update the code, modify the robot (lightening key areas) and go from a immobile robot in Match 1, to at least scoring some seeds and corn by the final matches, which was a win in my book. 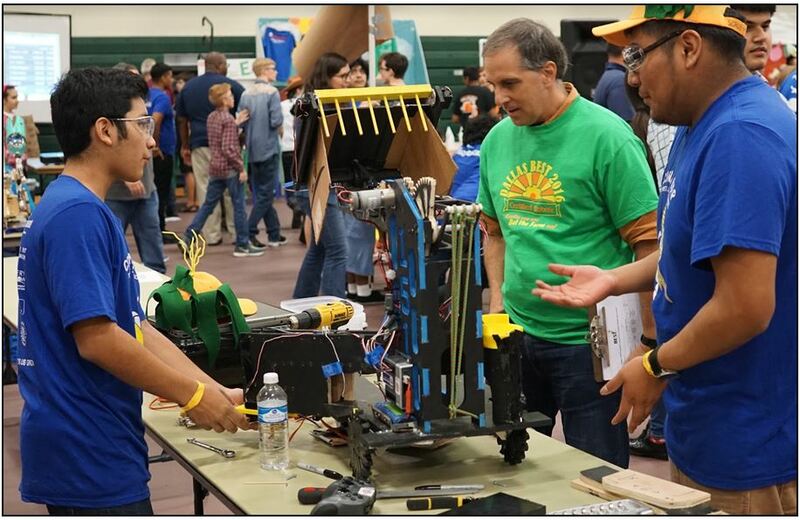 So to recap, it was a bit of a rough fall season as we brought in a large number of new students who were unaccustomed to what it takes to build a robot in a team environment. We had a few failures, mostly minor, but a lot of individual and group lessons. We plan to use the new couple months to continue to prep for FRC in the spring, and hopefully be back to full strength before January. 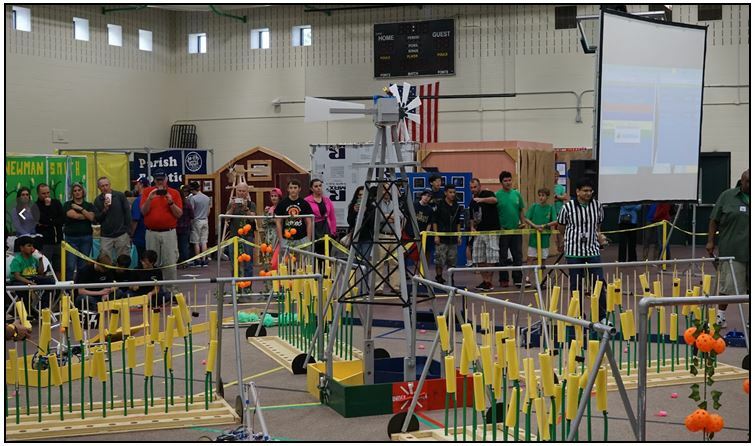 Full Steam(works) ahead, RoboChargers!